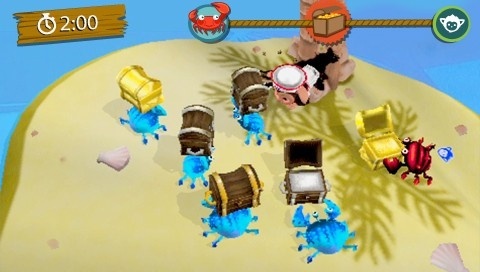 Similar to the PS3 game, EyePet Adventures on the PSP requires players to use the camera on this portable console to interact with the real-world in this augmented reality title. 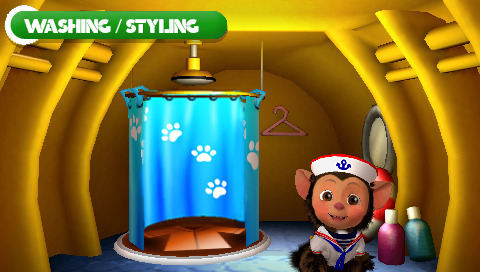 At its core, EyePet Adventures allows gamers to interact with a virtual pet and play a variety of mini-games with them, including a few too many exploring segments. Even though title is aimed at the younger gamer, it's great that Sony are releasing titles suited for children and with Christmas just around the corner, EyePet Adventures does a good job at child-friendly gaming. The game also comes with a "Magic Card" with a paw print on it which allows the player to interact with the EyePet and the EyePet to interact with the real-world. 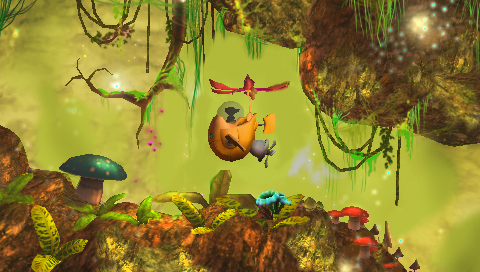 Apart from the augmented reality, the controls of the PSP work well and it's easy to interact with the virtual pets, including the EyePet ship when you explore. Unfortunately I found these exploring scenes a little dull and wanted to go play with my EyePet instead. So what about the story? Story wise, the younger gamer is indoctrinated into the EyePet Explorer's Club which requires the player and their pets to go on virtual adventures. Thankfully the first level of this game introduces the player to the gaming mechanics in a tutorial-like level to teach them the controls and how to best use the card. However for the most part, you'll be pointing the camera at the Magic Card which is then recognised by the PSP and it then creates the illusion that the EyePet is actually there. It's quite a cool effect. Your adventures will also take you to strange underground places as you pilot your EyePet ship through a rather generic environment in order to collect EyePet coins and other items for your EyePets. Coins can also be used to upgrade your ships to assist you in exploring such as adding radars and other interesting additions. There is quite a bit of unlockable content in the game as you explore but where the crux of the gameplay revolves is inside your ship where you interact with your virtual pet. This is where you feed your EyePet, make them go to sleep or play games with them. 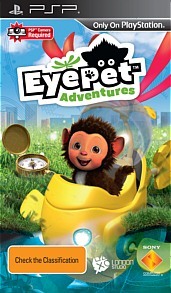 Kids will love interacting with the EyePets, especially buying them new costumes and items. There is also a handful of AR games that use the camera on the PSP such as shooting games and other games that interact with your environment. 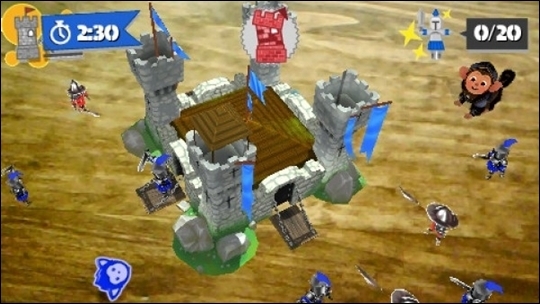 It's really fun seeing your card become a castle or even a target range for the virtual interaction. The balloon game is probably the best mini-game in EyePet Adventures that requires you to shoot a myriad of coloured balloons. 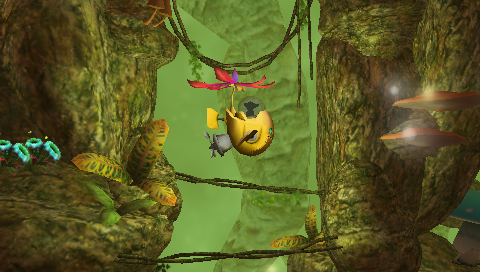 Graphically, the title looks a little basic on the PSP but there are some good special effects used, especially with the EyePet in the real-world. Sound effects are okay as is the musical score which helps enhance the gameplay slightly. Although we've seen many of these games on the 3DS before, the EyePet Adventures does have a little more substance but overall, something feels missing in this collection. It seems like a collection of mini-games with exploring used to link it all together and unfortunately the two genres just don't mesh that well. For me however, it was a little too generic and a tad boring. Let's hope fans of this series will think otherwise.